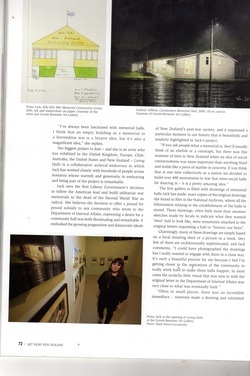 Living Halls is a project by Fiona Jack that I have had the privilege of being involved in. 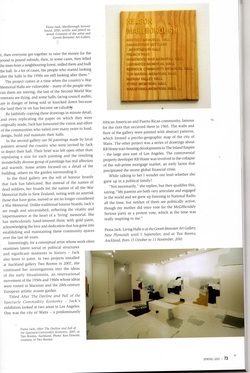 It was on show at the Govett Brewster Gallery in New Plymouth in 2010 and in Auckland at Two Rooms 14th October to 13th November 2010. The project has been purchased by Auckland War Memorial Museum. Following the Second World War, the New Zealand Government offered subsidies for war memorials to be constructed throughout the country as new community spaces – 'living memorials' – for those who sacrificed their lives fighting overseas. 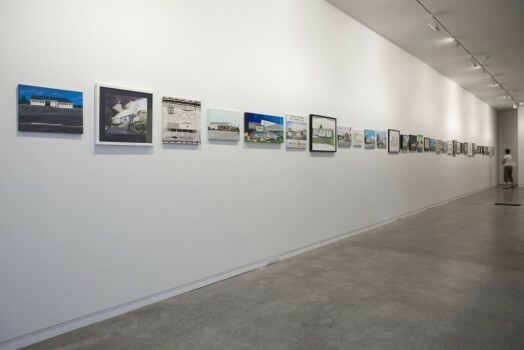 Fiona Jack’s Living Halls, an archival project that engages with this phenomenon and communities across Aotearoa, taps into personal, social, architectural and art histories. A book to accompany the project, co-produced by the Govett-Brewster and Clouds, will be published in 2010. 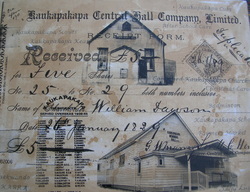 DRAWINGS: Most of New Zealand’s Memorial Halls were designed and built by local people, for local people. Archives New Zealand in Wellington houses correspondence files relating to each memorial subsidy application, and deep within these files there are sometimes drawings that sketch out a vision for a hall. Some are overly ambitious, some are little more than a square drawn on a scrap piece of paper, but almost all the drawings are very close to what was eventually built. Jack has faithfully replicated these drawings in minute detail, honouring the vision and effort of the people that spent many years toiling away to fund, design, build and maintain their halls. PAINTINGS: Today a great many War Memorial Halls are still loved and maintained by their communities. 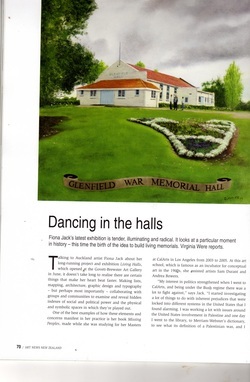 In response to the original impetus for communities to decide for themselves what their hall would look like, Jack invited local painters around the country to depict their neighbourhood Memorial Hall, creating a rich visual archive that reflects the close and active relationships between these buildings and those who use them. 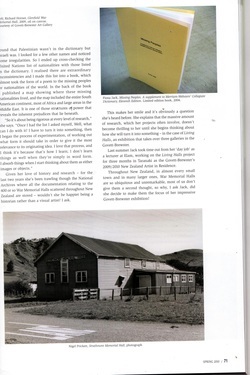 ARCHIVES: Before the Living Halls project there was no comprehensive knowledge about New Zealand’s War Memorial Halls, and it was not known how many there were/are. The Living Halls archive now lists over 400 halls, and includes research, ephemera, stories and histories from people all over the country. Contributions, corrections and additions to the archive are gratefully received.